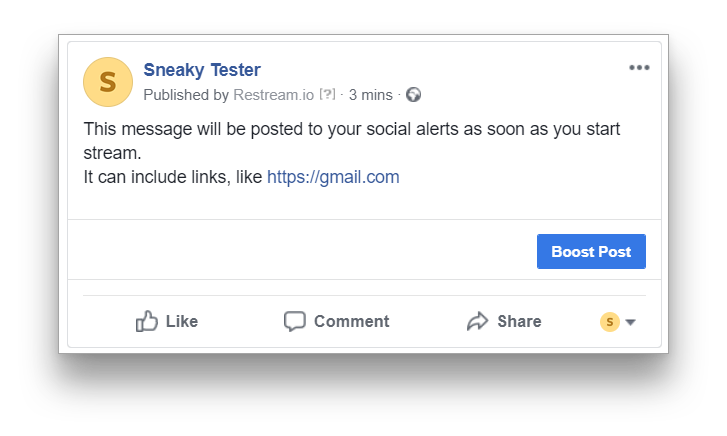 Use Restream Social Alerts to post a pre-created message to your Facebook Pages and/or your Twitter account and/or your Discord Server! 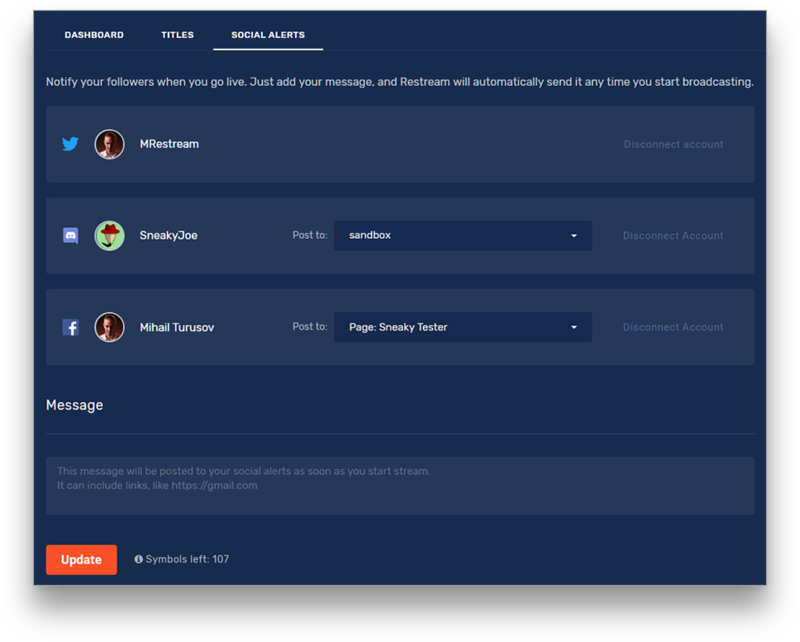 Simply connect your Twitter, Facebook and Discord, set your Message text and click update! Note: After you add your Facebook Account and your Discord, you'll be able to select from the pages/servers that you have posting rights for. When you go live with Restream, this message will automatically be posted for you to all connected channels. Below you can see examples of such messages. Note: You can disconnect any platform from alerts at any moment - it will not affect your streams at Facebook or Periscope/Twitter.